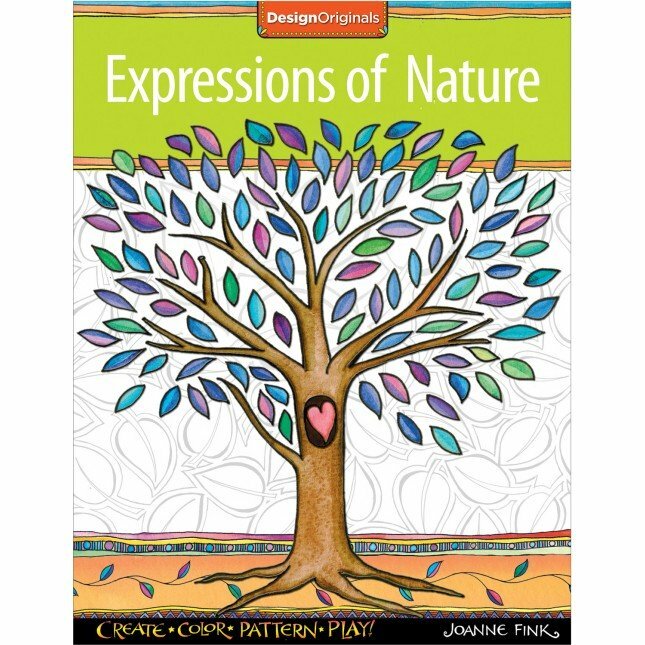 Express yourself through color and design with the Expressions of Nature coloring book. This inspiring coloring book offers 32 pages of nature designs, including trees, birds, insects and flowers - all designs that are not too complicated. Perfect for people with Alzheimer's, other dementia, or other cognitive disability. Printed on high quality extra-thick paper, perfect for decorating with colored pencils, markers, or gel pens. Each one-sided page is perforated so you can easily remove your art to display wherever you want. Includes 16 pages of design tips and colored samples for creative inspiration or to just admire. Great form of art therapy! Size: 8.5" x 11"